This Spectacular apartment is located in Los Arrayanes Golf, a gated community surrounded by golf courses. 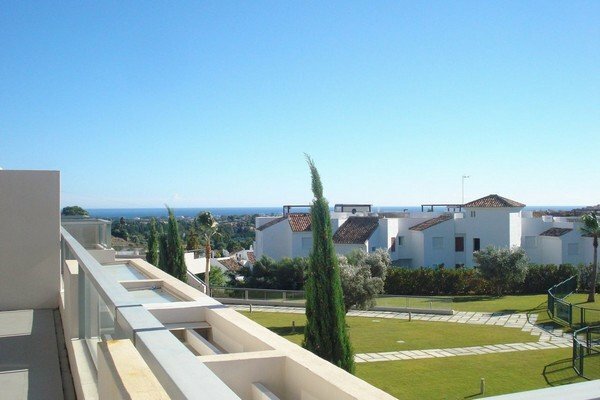 This apartment is brand new and southwest orientated with sea and golf views in Benahavis. It is This distributed in Entrance Hall, very bright living-dining room, fully equipped kitchen with appliances Neff, master bedroom in-suite very spacious and bright, and with access to the terrace, and second bedroom also in-suite. Luxury quality. 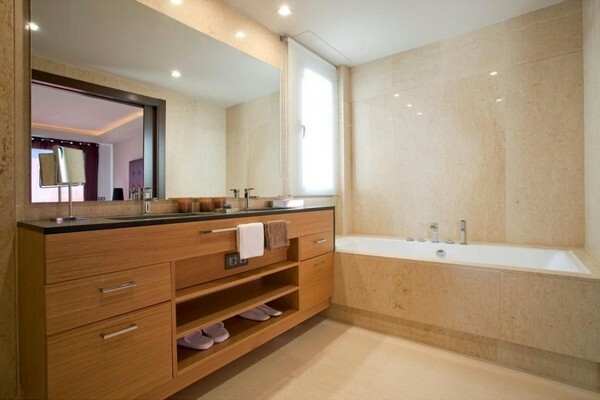 Soils of Egyptian marble throughout the House, air conditioning/heating with remote control in each room, underfloor heating in the bathrooms, detectors of water and smoke, electric blinds with central locking, Jacuzzi in master bedroom, fitted wardrobes. 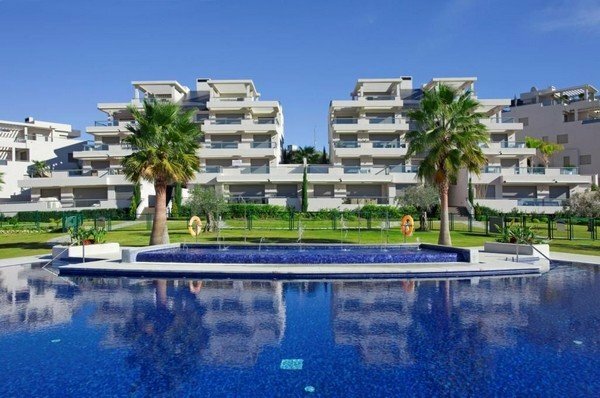 The complex has 2 outdoor swimming pools and a spa area with indoor heated pool, sauna, Turkish bath, Jacuzzi and gym. The complex is integrated in a Community with private security patrol 24 hours, barriers and security cameras for access control. Well-connected area, with easy and quick access to Highway AP-7 and autovía A-7. Numerous Golf courses just a few minutes by car, such as Los Arqueros Golf Club, La Quinta, Atalaya Golf, El Higueral, Guadalmina Golf, among others. Supermarkets, gas stations, restaurants in the area. In addition to be placed less than 10 minutes from Puerto Banus and Benahavís, famous for is excellent gastronomy.